Recent Romanian films continue to be appreciated by critics and to receive important international awards. This, along with a series of common techniques and themes, led to the emergence of the term "New Romanian Wave", a term assumed by some critics and directors and rejected by others. In this article, I aim to check if the use of colors is a technique that characterizes the films reunited under this umbrella term. In order to do so, I analyzed five films from different years but overall accepted as part of the New Wave. These are Marilena from P7, 4 months, 3 weeks and 2 days, Best intentions, Child’s Pose and Self-Portrait of a Dutiful Daughter. I was interested in discovering the symbols associated with each color, while also emphasizing their psychological meaning. Another goal was to check if and how the chromatic aspects were related to the social reality presented in each movie. Finally, I presented the common features of the films and the differences between them. Octav Sorin Candel is a Ph.D. student at the Faculty of Psychology and Sciences of Education, Alexandru Ioan Cuza University of Iași. His main research interests are in couple and family psychology and psychometry. Also, after a lifelong passion for films and popular culture, he decided to combine his interests and to discuss cinematic and other artistic creations from a psychological standpoint. Bellantoni, P. (2005). If it's purple, someone's gonna die: the power of color in visual storytelling. Boston, Focal Press. Caughlin, J., P., & Ramey, M., E. (2005). The demand/withdraw pattern of communication in parent–adolescent dyads. Personal Relationships, 12(3), 337-355. Conroy, E. (1921). The symbolism of colour. London, W. Rider & Son, Ltd.
Giusti, G. (2013). Expressionist use of colour palette and set design in Dario Argento’s Suspiria (1977). Cinergie: il cinema e le altre arti, 4, 154-165. Ieta, R. (2010). The new Romanian cinema: a realism of impressions. Film Criticism, 34(2/3), 22-36. Kerr, M., E., & Bowen, M. (1988). Family Evaluation. An Approach Based on Bowen Theory. New York , Norton. Kuzinas, A. (2013). The Power of Colour on Content: Associations, Evoked by Simple and Complex Pictures. Procedia-Social and Behavioral Sciences, 84, 1397-1402. Morton, J. (1997). Color Voodoo #1 - A guide to color symbolism. Colorcom. Pascual, V. (2016). Cristian Nemescu: eclecticismo y experimentación en el realismo rumano / Cristian Nemescu: eclecticism and experimentation in Romanian realism. Quaderns de Cine, 11, 25-31. Pop, D. (2010). The Grammar of the New Romanian Cinema. Acta Universitatis Sapientiae: Film and Media Studies, 3, 19-40. 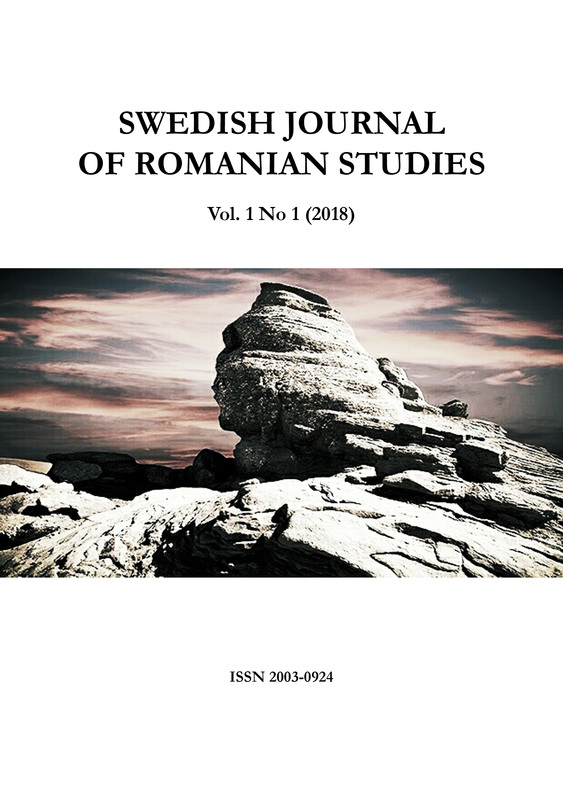 Șerban, A., L., Uritescu-Lombard, R., Ieta, R., & Ioniță, M. (2010). Romanian cinema: From modernity to neo-realism. Film Criticism, 34(2/3), 2-21. Terwogt, M., M., & Hoeksma, J., B. (1995). Colors and emotions: Preferences and combinations. The Journal of general psychology, 122(1), 5-17. Wei, C., Dimitrova, N., & Chang, S., F. (2004). Color-mood analysis of films based on syntactic and psychological models. Proceedings of the ICME 2004 (2), 831-834.